More and more organizations are looking to improve energy efficiency within their buildings, but unfortunately, they rarely have the finances to complete these projects. If you’re wondering how to fund your next green building project, consider joining forces with other like-minded institutions in the Billion Dollar Green Challenge. In 2011, The Sustainable Endowments Institute launched The Billion Dollar Green Challenge (The Challenge), inviting colleges and nonprofits to invest in a grand total of one billion dollars in order to finance their energy efficiency improvements. The fund is self-managed, but what makes it most unique is its revolving feature. This abundant pool of cash is called a “revolving fund” because of its regenerative design. Participants will take a loan from the fund to finance their green building projects. Then, when they begin to accrue energy savings as a result of their improvements, they will reinvest that money back into the fund. Institutions who succeed through The Challenge will not only achieve reductions in harmful emissions and operating costs, but also create the funds for future projects and the success of others. The Sustainable Endowments Institute and its 16 partner organizations are striving to create a vibrant network of institutions that are making sustainability on campus a priority. So far, 46 colleges, universities and nonprofit organizations have committed to the “green billion.” Here in Oregon there are three colleges that have joined The Challenge: Oregon State University, Lane Community College, and Portland State University, which has given half a million dollars to the fund. Most organizations allow the funds they contribute to finance any project that will increase efficiency and reduce emissions. So far, these projects have ranged from lighting and plumbing efficiency retrofits to purchasing compost equipment and converting tractors to run on biofuel. 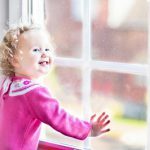 Installing energy efficient window film is a great way to reduce the demand on air conditioning in the summer and heat in the winter, and is much less expensive than replacing windows completely. To make sure you get a return on your investment, Pacific Window Tinting offers a free building energy analysis. We’ll come by and assess your building’s overall exposure, the combined glass surface area, and the type of windows you have. Then, our computer program will suggest the ideal film to install, and project the amount of savings and return on investment you can expect. Visit our Solar Energy & Efficiency page, and contact us to discuss your options today. Call (503)736-9000 or click here to send us an email.